Building a modern architect-designed house with AVANTECTURE means making absolutely no compromises: sculptural architecture, individual unique planning and innovative concepts for materials, building services and equipment. We see every house as a holistic work of art. The expressive design language should also be reflected in the interior – which is why we even develop unique pieces of furniture and special details for this purpose. 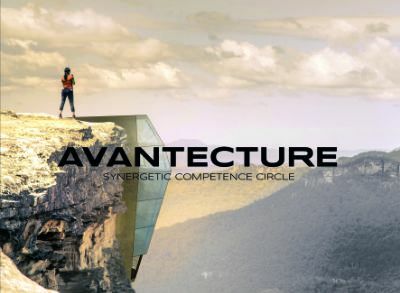 AVANTECTURE’s synergetic team coordinates all the necessary specialist planning, controls the awarding of contracts and guides you to the completion of the project. Find out more about our services below. Modern architect-designed houses are invidiual, unique buildings demanding the highest standards of style and quality. 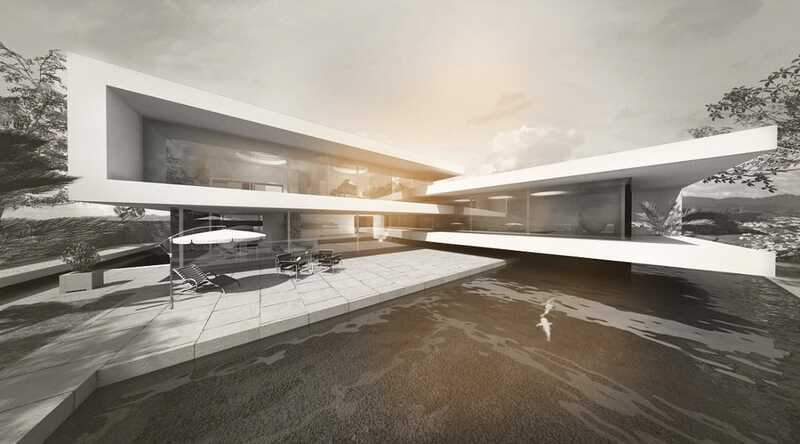 ˆ above: Design planning for a modern architect-designed house with a flat roof and 3 levels in split level design. The L-shaped building appears to be floating and is timelessly elegant thanks to its straightforward design. ‹ left: Reference project residential house in Berlin in a modern architectural style. approx. 400 sqm living space as solid bulding. Straightforward design language influenced by the Bauhaus style. Creativity and profound planning lead to works of art.